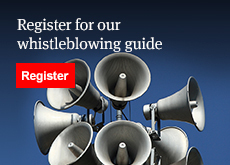 What are the latest developments on whistleblowing in the workplace? Whistleblowing – what protection do employees have in Hong Kong? Obamacare: does it hide a potent whistleblower pill? Whistleblowing – what protection do employees have in Venezuela?